In commemoration of World AIDS Day, AIDS Healthcare Foundation (AHF), the world’s largest, non-profit HIV/AIDS service organization, partnered with Debbie Allen, to host “Keeping the Promise – 1,000,000 Lives in Care: Celebrating Icons of Dance,” a free, star-studded event, which took place at the historic Apollo Theater on this past Friday, November 30th. The evening included presentations by an array of cultural icons, including George Faison, Phylicia Rashad, prima ballerina, Misty Copeland and a special musical tribute by the original Dreamgirl, Jennifer Holliday. 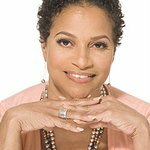 The line-up of performances was a who’s-who in dance, including Philadanco, The Syncopated Ladies, Debbie Allen Dance Academy, Ailey II, Jason Samuels Smith and The Dance Theatre of Harlem. The powerful evening also included tributes to dance legends that have died due to AIDS related complications, including Ulysses Dove, Michael Peters, Gene Anthony Ray, Michael Bennett, Rudolph Nuryev and Alvin Ailey. A special tribute was also be given to legendary dancer/choreographer and co-founder of The Dance Theater of Harlem, Arthur Mitchell, for his leadership in civil rights, through the genre of dance. 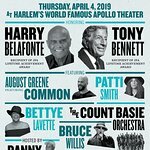 The powerful evening attracted a diverse array of luminaries including Norm Nixon, Award winning vocalists Gordon Chambers and Melba Moore, choreographer Louis Johnson, Dance Theatre of Harlem’s Robert Garland and Tony-award winning artist Lillias White. Previously a music-focused event, prior ‘Keep the Promise’ World AIDS Day events have included an array of award-winning artists including Mariah Carey, Patti LaBelle, Common and Sheila E.
This annual World AIDS Day event, presented in New York for the first time, was not only an amazing evening of cultural offering, but also served as an opportunity to recognize the advancements that have been achieved in the fight against HIV/AIDS, and the work that is still to be done in continuing to eradicate this devastating epidemic. Free, rapid, 1-minute HIV testing was also be provided during the event. For more event information, please visit www.ahf.org/WAD. Friday’s event at the Apollo, took place in conjunction with other World AIDS Day commemorations being spearheaded by AHF in communities across the country like Los Angeles, Chicago, Miami and Atlanta, and in many of the 42 countries around the globe that AHF serves in to mark World AIDS Day, formally observed each year on December 1st. Under its “Keep the Promise on HIV/AIDS!” banner, AHF celebrated and acknowledge progress made in the fight against HIV and AIDS. The Apollo event, like other AHF World AIDS Day events, also served as a reminder to political and local community leaders that with almost one million deaths and nearly two million new infections occurring last year alone, there is still much work to be done in the global fight to defeat the epidemic.